Offering you a complete choice of products which include myhep tablet, hepcinat - sofosbuvir tablet and hepcinat lp. We have in store for our clients a wide range of Myhep Tablet. 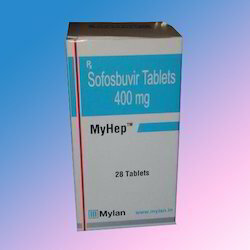 This medicine is used for treating chronic hepatitis C virus (HCV) infection in certain patients. It is be used with ribavirin or in combination with peginterferon alfa and ribavirin. Offered medicine reduces the amount of HCV in the body by preventing the spread of the HCV within the body. 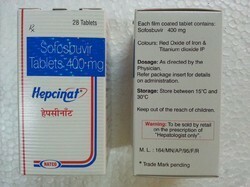 Hepcinat lp)is a medicine used to treat chronic genotype 1 .